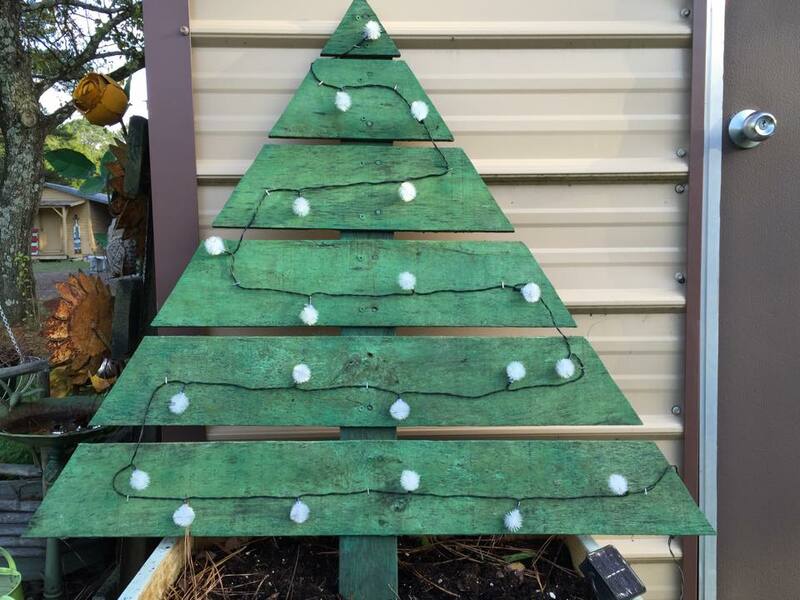 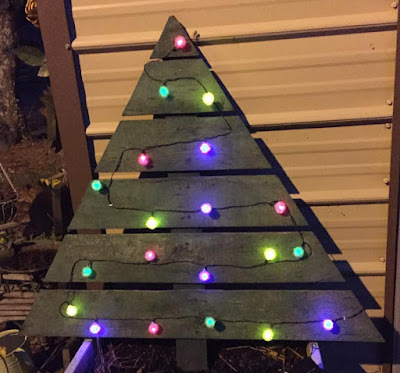 Made a simple Pallet Christmas tree. 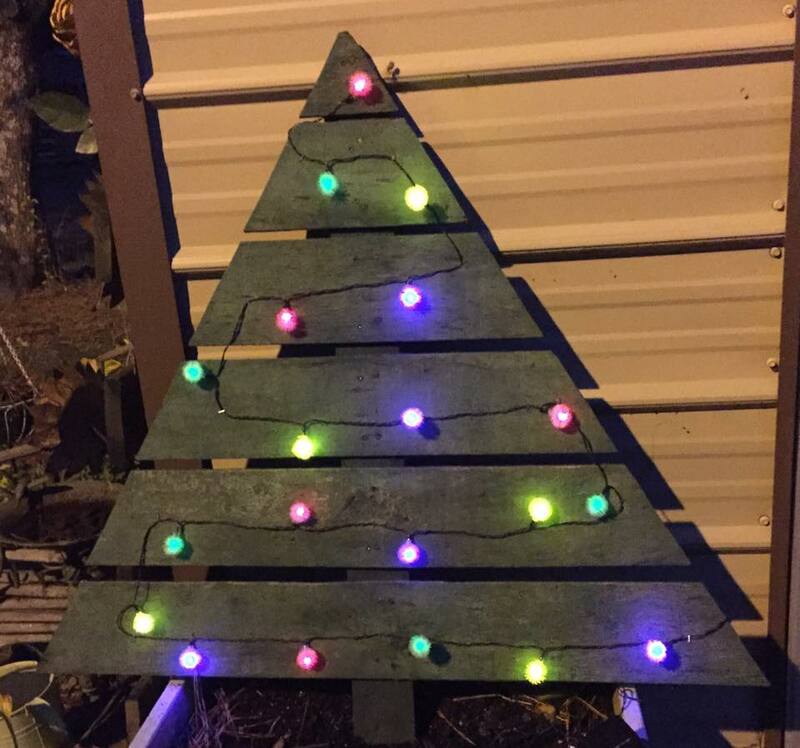 I added some solar lights to this one. 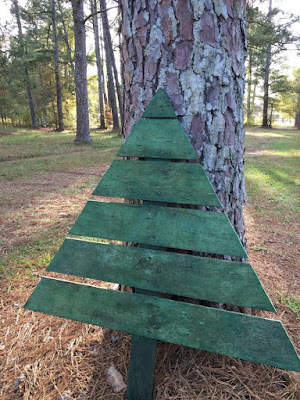 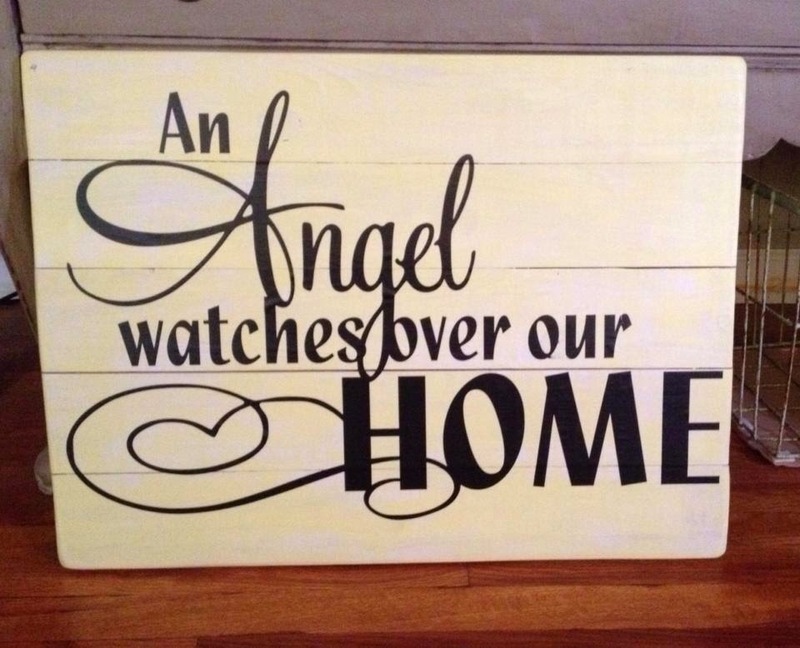 I plan on using it in my outside Christmas display this year.